Only one day after Taylor Swift and Tom Hiddleston reportedly called it quits after a short three months of dating, Calvin Harris is discussing his breakup with Taylor Swift for the first time as the October cover star of British GQ. 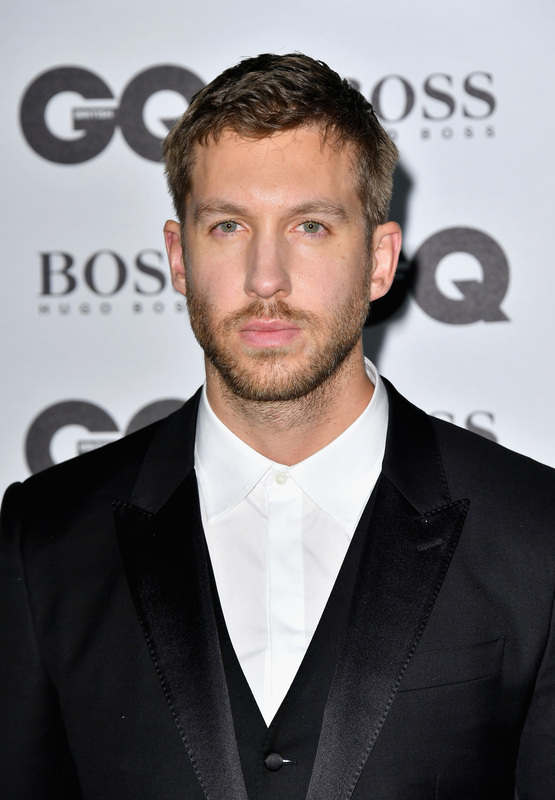 In the interview, the DJ dives into his very public split from the 26-year-old pop star, in addition to commenting on the time he slammed Swift for confirming she wrote "This Is What You Came For" under the pseudonym Nils Sjoberg. Surprisingly, and unlike in the past when he's appeared to have somewhat of a bad attitude, Harris took the high road and spoke about it all in an adult way. To start, when Harris and Swift broke up in June after over a year together, it was hard for the 32-year-old artist to deal with it all in the public eye. I can't imagine dating a huge star to begin with, so imagine how he must have felt after it all came to an end. The scrutiny, the rumors, the opinions, and the judgments were probably a lot to handle. As he said in GQ, "It's very difficult when something I consider so personal plays out very publicly. The aftermath of the relationship was way more heavily publicized than the relationship itself." He continued, "When we were together, we were very careful for it not to be a media circus. She respected my feelings in that sense. I'm not good at being a celebrity." This is where Harris could've easily thrown shade her way or talked about what they had negatively, but rather his candidness and the fact that he doesn't slam Swift speaks volumes. Maybe this is his way of trying to show he's moved on, all while proving what they had for the time that they had it meant something to him. Whatever Harris is feeling at this point in time, he's definitely had time to reflect about the breakup, in addition to using social media in a poor manner. After Swift revealed that she did indeed write Harris' hit with Rihanna, "This Is What You Came For," he took to Twitter jabbing both Swift and Hiddleston. One of his now deleted tweets read, "I figure if you're happy in your new relationship you should focus on that instead of trying to tear your ex bf down for something to do." Well, after much thought and reflection, Harris regrets his actions. He told GQ (via The Sun), "It was completely the wrong instinct. I was protecting what I see as my one talent in the world being belittled." He added, "But when it ended, all hell broke loose. Now I see that Twitter thing as a result of me succumbing to pressure. It took me a minute to realize that none of that matters. I'm a positive guy." Regarding their split and the aftermath, Harris also noted, "For both of us it was the wrong situation. It clearly wasn't right, so it ended, but all of the stuff that happened afterwards..."
Harris hadn't really explained himself before GQ, so now that he is discussing his actions and feelings, people can get a better sense of what he experienced. If you think about it, coming to terms with a breakup with all eyes on you and then seeing your ex-girlfriend move on with a high-profile celebrity the same month you two split, well, all of that would take a toll on pretty much everyone. Based on Harris' remarks, he really does seem to regret how his breakup played out and everything that followed. But, at least it appears he is now taking the high road and moving in a more positive direction.